We maintain it as if we own it. 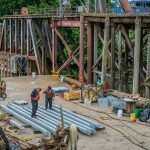 Omega Morgan is the most reliable industrial millwright services partner in the Pacific Northwest. For small or simple projects, we quickly study and interpret a plan, then put a knowledgeable and efficient team to work. 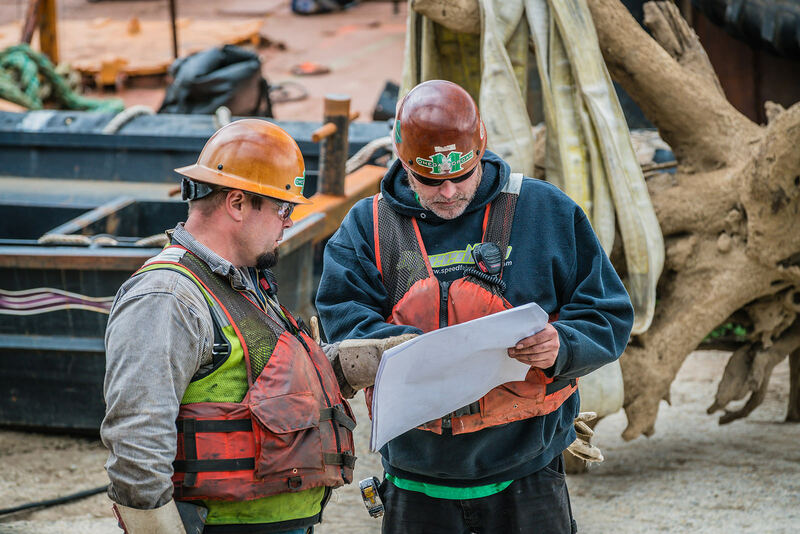 For larger and more complex jobs, our deeply experienced professionals work with our customers to design plans that save money, reduce scheduling conflicts, and build safety into the work. 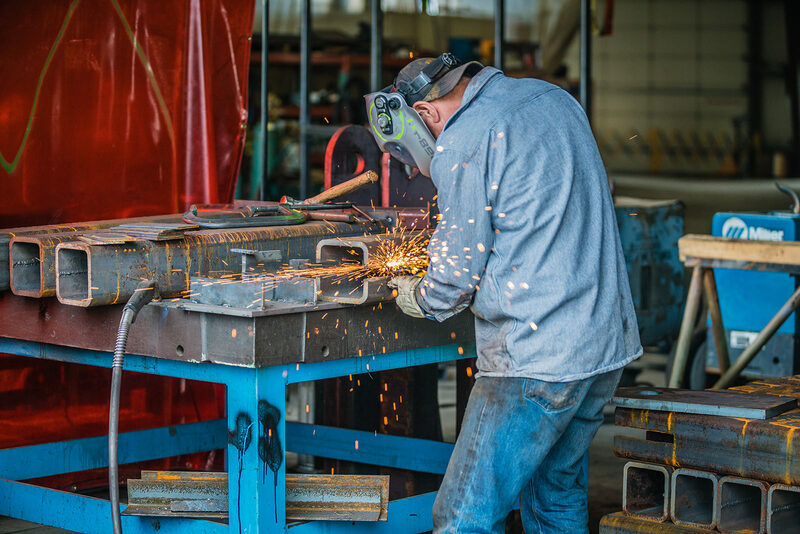 Whether the projects are large or small, part of providing superior millwright services is ensuring that our customers’ plants and service locations are up and running at maximum efficiency without delay. Minimizing downtime is a critical consideration in our strategic approach to every industrial service offering. WHAT DO OUR INDUSTRIAL MILLWRIGHT SERVICES INCLUDE? Our professionals renovate and repair all types of machinery, and our services span across a variety of industries. This makes Omega Morgan the region’s most trusted millwright services provider. We quickly and safely install all types of new and relocated industrial and mechanical equipment. Our experts work with your engineers and maintenance department members to develop the right strategy to make installations proceed as scheduled without a hitch. Customers value our expertise in replacing and installing critical bearings and seals that keep your systems up and running. Let us help you maintain operational efficiency with proper care for the bearings and seals that keep your machines at peak performance. Improve equipment reliability and uptime with professional diagnostics and repair on rotating equipment. Ensure rotating equipment operates efficiently and is consistently maintained to prevent catastrophic failure. Shaft wear problems cause untimely delays and costly shutdowns. Avoid these and keep your systems running smoothly and efficiently with professional shaft repair, replacement, and alignment. 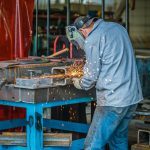 Our professionals have the training and expertise necessary to bring the fabrication, assembly and installation of equipment parts and components right to your site. When original equipment manufacturers and aftermarket suppliers can’t provide replacement parts, we make them ourselves. Our engineers can produce simple and complex equipment parts with the accuracy and attention to detail necessary to make perfect replacements. Omega Morgan offers a range of field machining services. If it is not cost effective to remove or repair your equipment in the shop, let Omega Morgan develop a repair procedure for field machining your equipment in place. We offer turnkey equipment installations, even if your equipment requires a custom concrete or steel pedestal. Omega Morgan has installed hundreds of custom concrete machine foundations, as well as custom-designed machine operating pedestals. Let us take on your entire machine installation from foundation to startup. Omega Morgan services a number of clients who are located on the Willamette and Columbia rivers. Several have infrastructure that is only accessible from the water. 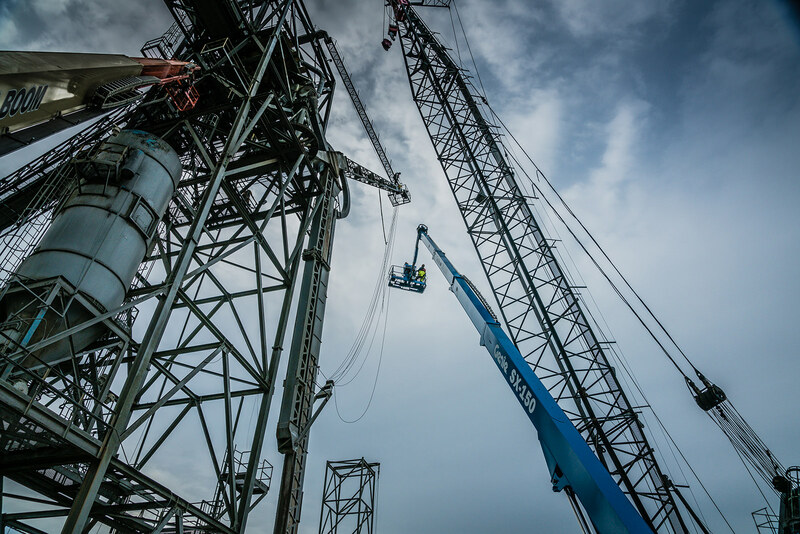 Omega Morgan uses a 100-ton derrick barge to service marine clients’ needs, including machinery installation, pile driving, marine welding, and equipment installation and removal. 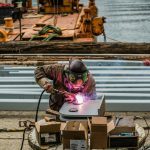 Omega Morgan is also in the business of barge repair. We use air bags to roll your vessel up a boat ramp where it can be repaired, stiffened, or patched. 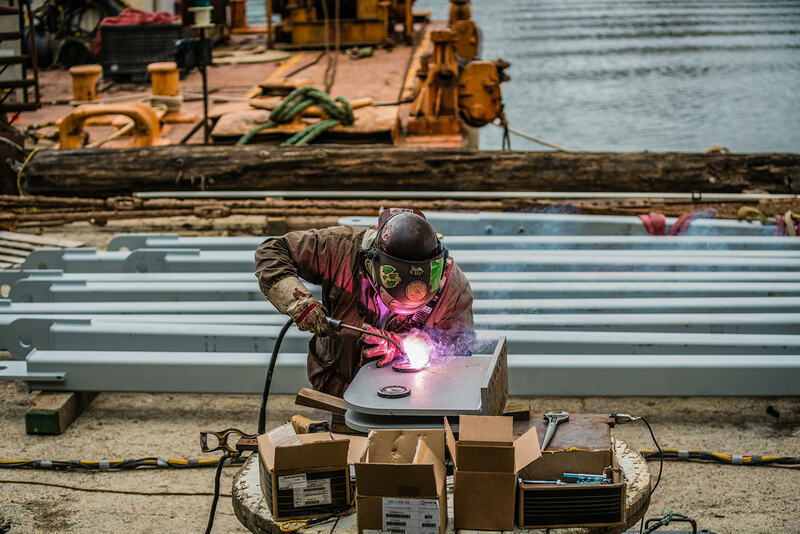 This solution is much more cost effective than traditional drydock alternatives. Omega Morgan removes a significant amount of old or obsolete equipment. Any equipment that is technical in nature can be technical to disassemble. 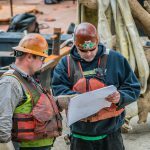 If you have a complex demolition project, or equipment in a sensitive location, let Omega Morgan’s team develop a demolition plan to meet your needs. 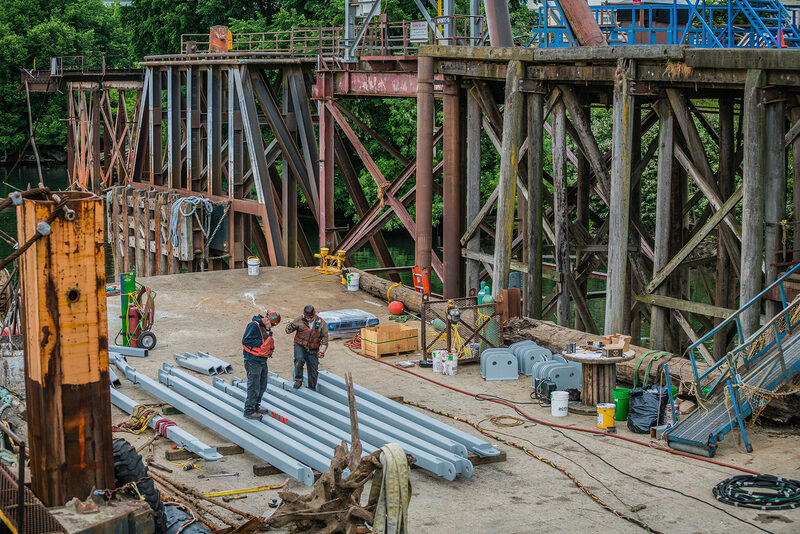 Description Omega Morgan provided crane assistance, operators, and millwrights to help receive, assemble and move a suction dredge in Scappoose, Oregon. 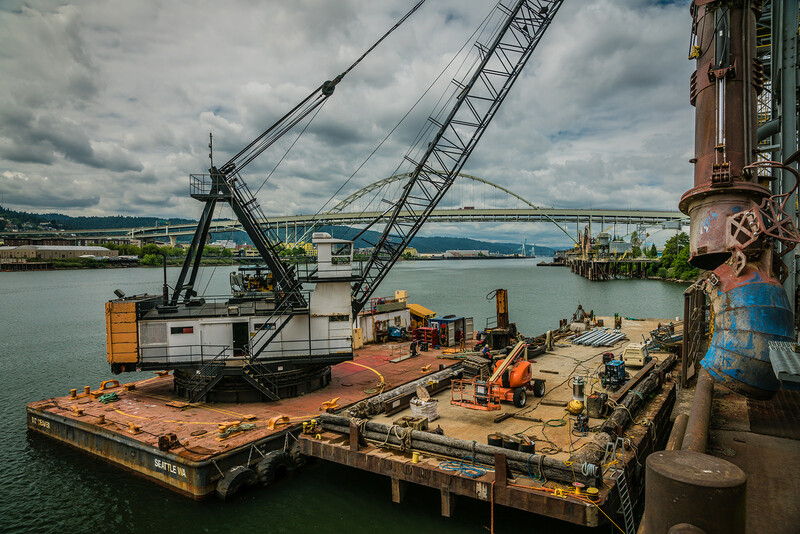 Our teams worked with CalPortland and Dredging Supply Company to safely and efficiently assemble and move this nearly two million pound apparatus from land to water. In this case study we explain Omega Morgan’s work in this two-month assembly and colossal move. 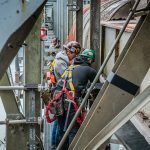 Description Omega Morgan’s Portland- Millwright Services Division was contacted by Kalama Export, an international grain terminal in Kalama, WA to fix an underperforming articulating grain spout. 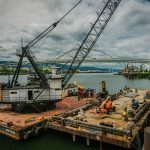 The complex fix required an ocean-going barge and tug service, scaffolding, a 150’ manlift, welders, and a derrick barge crane. In this case study we outline how our industrial millwright services crews diagnosed the problem with the spout, and safely performed a long-term solution. Description We partnered with Cascade Steel Mills for a major steel mill ladle turret replacement project. The steel mill ladle turret weighed 62.5 tons and we moved it nearly 200 miles from Tacoma, WA to McMinnville, OR where it was installed. 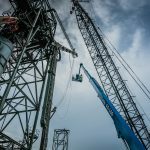 In this case study we outline how we accomplished this task, what equipment we used and how we tackled the moving and installation process. 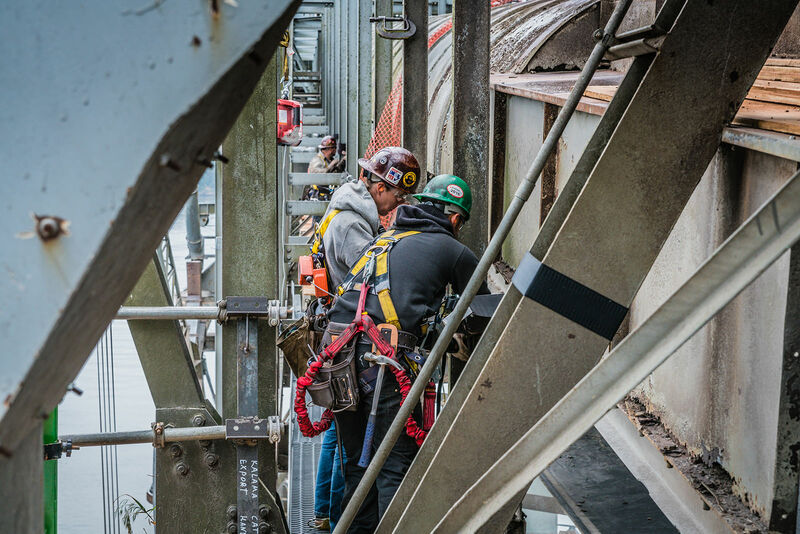 Description Our experienced millwright services team was asked to assist a valuable client in the Grain Export industry with installing a new catwalk during their annual dock and ship loader maintenance project. In this case study we discuss how we successfully planned the project in and amongst other projects and dependencies, and how we executed flawlessly the work within our allotted time frame.